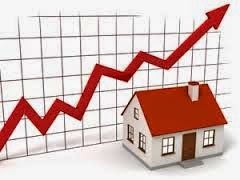 Over the past few decades the entire globe has been marked with the growth of real estate and such related industry. This has resulted from a rapid urbanization process and the associated changes in psychology and demographic profiles. Such a growth has definitely induced a stable economic growth, although larger masses continue to suffer from affordability problems and space constraints. The new millennium has seen the world on the verge of economic development. In addition to the production and manufacturing industries, there has also been a large boom in the services sector which includes trade, transportation, communications, real estate and finance, public and private sector services. As per the survey of the International board of land and housing, Real Estate in India has been on the rise and has contributed to almost 5% of the national GDP. The steady increase in the production of the said sector definitely reflects increased market-determined processes, such as the spread of rural banking, bank loan and interest rates, and efficient land governance to provide for a better utilization of land and infrastructure. The global real estate consulting group Knight Frank has ranked India 5th in the list of 30 emerging retail markets and has predicted an impressive 20% growth rate for the organized retail segment by 2010. Investment in retail real estate segment yields 13- 16 percent return, which is quite high when compared with the returns from the residential and office segments.This is creating an interest in the foreign players for direct investment. In order to satisfy the demand of the country's immense housing shortage, there is a vast opportunity for developing large scale commercial and residential townships across the country.This would definitely encourage public private partnership and India shall be turned into a major destination for investment of worldwide capital. Keeping this in view, the government has started to think flexibly in terms of housing rules, laws and guidelines and other investment issues. As per the norms of the government in India, 100% Foreign Direct Investment would be allowed in all forms of housing,commercial premises, hotels, resort etc. This move on investment is expected to have a multiplier effect on various avenues like employment creation. Building techniques and technology and ancillary industries of construction are emphasized. Above all, the private investors in this sector have also turned out to be professional and have started to recruit from a strategic level. The standardization of industries of construction has also been achieved through efficient investment capitalization. The latest market trend reflected in this industry is on buying retail property which has, in turn, caused a significant up liftment of real estate price. Inspite of all these factors real estate lending is considered a risky business, which has ample evidences from many countries of heavy bank losses. The various types of risks associated with this industry include credit risk, collateral risk, profitability risk and price risk. Despite this, various countries are encouraging Foreign Direct Investment to be floated in this sector. This current move on investment is expected to have a multiplier effect on employment creation, building techniques and technology, in addition to promoting the ancillary industries of construction. The bank's policies and procedures should include an appraisal program that includes professional judgments of the present and/or future value of the real property. The issues that are taken into consideration involve cost, market data, capitalization of income approach and discounted cash flow. After owning a house and if found surplus, we can propose to let it out for a good tenant to have a neighbor. In this connection, before finalizing the things, once the proposed tenant agree to the offer made by the owner, including the rental and other terms & conditions, both the parties should agree to reduce the terms and conditions in to writing, in order to avoid any possible misunderstandings, besides the fact that, such relationship is linked with finance in the form of rental at monthly intervals besides security deposit amount, as advance. As far as the Landlord is concerned, he should make himself sure that the tenant is trustworthy and credit worthy to meet the financial obligations and honour other terms and conditions. In this regard, the Landlord shall enquire about the proposed tenant’s position and his financial background to ensure the prompt and timely payment of monthly rentals. It is further essential to know about the financial status and the income source as well as the business place or work office etc., of the prospective tenant. From the tenant’s point of view, the tenant should first of all satisfy himself that, he is dealing with the true owner of the house and that there would not be any problem whatsoever either financially or in any manner, after finalizing the tenancy agreement. 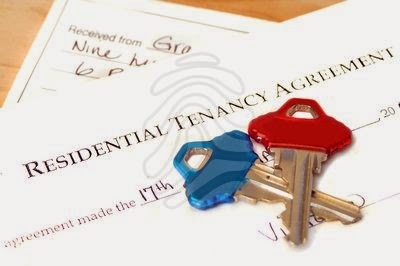 The salient features of the tenancy agreement are as hereunder. à The period of tenancy – usually it shall be for a period of eleven (11) months since if it is beyond 11 months, say 12 months & above, such an agreement need to be registered, which involve financial burden either to the tenant or to the landlord, hence usually, the period of tenancy agreement would be generally confined to eleven (11) months. à The date of commencement and the duration of the tenancy, and the expiry date of such tenancy period. à It should contain whether a notice has to be served by either of the parties to the other, either for eviction or to vacate the property, before conclusion of the tenancy period. à It should mention whether liberty is given to the tenant to further renew the period of tenancy, before the conclusion of the tenancy period. à It should specifically mention, under what are all conditions, and/or failures on the part of the tenant, the tenancy shall automatically come to an end , and the tenancy shall vacate the house without any notice or correspondence. à A list showing the fixtures and furnitures, available in the house, at the time of entering into in such tenancy agreement should be appended therewith. à If the tenant is given the opportunity to further renewal of tenancy period, the rental agreement, should contain what would be the rent during such extended period, besides mentioning the period for which such renewal is agreed, and any other terms and conditions, regarding advance etc., to be specifically furnished. à The amount of security deposit payable by the tenant to the land lord, and its mode of payment to be mentioned therein. à The mode of payment of monthly rental should be mentioned. In case there would be deduction of TDS, such clause also should invariably be mentioned. à Most importantly, the rental agreement should contain several ‘covenants’ separately pertaining to ‘Land Lord’ and the ‘tenant’ vis-à-vis Do’s and Don’ts to be mentioned therein. à It should specifically stipulate that in the event of default committed by the tenant either in payment of monthly rentals, or in any manner, as mentioned in the rental agreement, the tenancy shall come to an end, and the land lord shall have every right to get the tenant evicted from the premises without further notice, at the cost and expenses of the tenant. Besides the above, the rental agreement should also contain, all other relevant details which will protect the rights of the land lord legally should be incorporated. It is the common view that the real estate market in Bangalore presently is not on a very strong footing since a large number of residential flats and commercial places are lying unsold for a quite some time now. Properties are developed not only by the reputed property developers, but also by not so reputed developers and by the entrants to the real estate industry. The development activities are mainly concentrated on the north and south of Bangalore in view of the existence of establishments of I.T/B.T. Sector as well as the fast track progress of infrastructural work in these areas with the hope that their end products could be sold at much ease to NRIs and the people connected with IT/BT sector. In view of the recession in the past couple of years, most of the flats constructed have remained unsold and it is difficult to know the number of flats unsold and lying vacant since there is no agency to compile the statistics about the real estate industry. Housing needs being one of the basic necessities, keeping in mind their financial capacity, many people have restricted their requirement to one bed room (1 BHK) flats instead of 2 BHK or 3 BHK flats though one bed room accommodation may not fully meet their requirements. Considering the demand for 1 BHK flats many developers have started concentrating on the construction of 1 BHK flats to meet the requirements of a large number of people. The rise in property prices could be result of the sudden spurt in property prices on account of boom in the real estate industry during the early years of the decade. The situation in the beginning of the present decade was quite favorable for the real estate industry. However from the year 2007 the market started showing downward trend and the sale of developed flats and the commercial spaces was affected. Experts in the real estate market feel that the current year may be brighter for the industry in view of the growing demand for residential as well as commercial spaces. Though some people say that the real estate market is showing improvement, nothing spectacular is seen nor is it likely to be seen immediately in view of the continued recession. In view of the rising prices of all the essential commodities it is difficult for the people to think of buying properties or commit for buying properties now. The present situation seems to be dim, looking to the market condition, particularly of the essential commodities. People are not interested to commit themselves to invest in projects to be taken up or those which are under construction, by the developers. The reasons for this attitude of the people are plenty. The main reason is that the projects generally do get delayed or prolonged inordinately, and the developers do not adhere to their promised time schedules for completion of their projects while they insist on payment of installments according to the agreements. If there is no progress in the work as promised by the developers the buyer cannot be expected to continue to pay the installments as per property agreements. Both the buyers and the developers do not believe each other and the result is that the projects are not completed and also in some cases, the parties go to courts for resolving their disputes leading to further delays in completion of the projects.Only when the developer and the buyer resolve their misunderstanding, if any developed disbelieving each other, things may move in a congenial atmosphere. Section 4 of the Easements Act, No. 5 of 1882 defines “Easement”, as a right which the owner or occupier of certain land possesses, as such, for the beneficial enjoyment of that land, to do and continue to do something or to prevent and continue to prevent something being done in or upon or in respect of certain other land not his own. These definitions clearly contemplate two properties and two owners thereof. The land for the beneficial enjoyment of which the right exists is called a ‘dominant heritage or tenement; and the owner thereof is called ‘the dominant owner’ and the land on which the liability is imposed is called a ‘servient heritage or tenement’ and the owner or occupier thereof is called ‘the servient owner’. (iv) the easement must be capable of forming the subject matter of a grant. An easement is acquired either by prescription or by grant or by custom. An easement is a right in an immovable property and is, therefore, an immovable property itself. (iii) easement in the nature of riparian rights. Right to use the water of a stream for consumption and irrigation. An easement may be permanent or for a term of years or other limited period or subject to periodical interruption or exercisable only at a certain place or at certain times or between certain hours, or for a particular purpose or on condition that it shall commence or become void or voidable on the happening of a specified event or performance or non-performance of a specified Act. Firstly, private rights in the strict sense of the term vested in particular individuals and such rights commonly have their origin in grant or prescription. Secondly, rights belonging to certain classes of person or certain section of the public such as the inhabitants of a village and such rights commonly have their origin in custom. Thirdly, public rights in the full sense of the term that is, which exist for the benefit of all the people and the source of which is ordinarily in dedication. Any movable property can be the subject matter of a hire agreement or hire purchase agreement.Just as land is given on lease for a period and at some periodical rent, so also a movable property or goods can be given on hire for a period and at periodical hire charges.In a simple hire agreement the property is given on hire for some period for periodical payment as hire charges and on the expiration of the period the property is to be returned to the owner. It is an Agreement of Hire with an option to the hirer to purchase the goods.A Hire purchase agreement may be defined as ‘a contract for the delivery of goods on hire under which the hirer is granted an option to purchase the goods’. The ingredient of hire excludes from the definition of hire purchase, those contracts under which the right to acquire ownership arises out of some other form of contract, for example, pledge, delivery of goods on approval or ‘on sale or return’ or deposit for safe custody, on terms entitling the custodian to sell the goods, if they are not claimed within the stipulated time. The essential characteristics which distinguishes a hire purchase agreement from an agreement to buy or an agreement to sell, is that whilst the hirer has the option to purchase the goods comprised in the agreement, he is under no obligation to do so. But an agreement for sale and buy necessarily creates a binding obligation on the buyer to buy and on the seller to sell. In a hire purchase agreement simpliciter, there is no money lending. By hire purchase price is meant the total sum payable by the hirer in order to complete the purchase of goods. It is generally the aggregate of the cost price of the goods together with finance charges, cost of installation and maintenance, service charges, insurance etc. A Hire agreement or hire purchase agreement is essentially a matter of contract between the parties and is governed to the extent applicable, by the Contract Act and the Sale of Goods Act. A simple agreement for hire only, is a contract of bailment within the meaning of Section 148 of the Contract Act. A hire agreement or hire purchase agreement being essentially a matter of contract between the parties it may contain such terms and conditions as may be agreed upon but consistent with Law. The Contract Act lays down certain rights and duties of the bailor and the bailee in Sections 149 to 171.There is no standard format for a hire purchase agreement and there are no specific rules of practice as in the case of a Deed of Conveyance and other similar deeds. A hire agreement is in substance and effect a simple agreement of hire or an agreement of sale or purchase simpliciter and one of the tests to determine the question is whether a particular agreement is a contract of mere hiring or whether it is a contract of purchase on system of deferred payment of the purchase price and whether there is any binding obligation in the hirer to purchase the goods. Another usual test to determine such a controversy is whether there is a right reserved to the hirer to return the goods at any time, during the subsistence of the contract. If there is an obligation to purchase, it is a sale. If there is a right reserved to the purchaser to return the goods it is a hire purchase agreement. 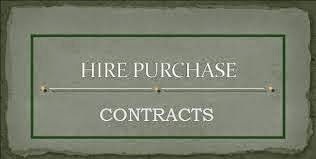 If there is no binding obligation to purchase nor any option to purchase, it would be an agreement of hire only. The essence of a hire purchase agreement properly so called is that the property in the goods does not pass at the time of the agreement but remains in the intending seller and only passes later when the option is exercised by the intending Purchaser. Hire purchase system has assumed great commercial importance and companies are being formed to carry on the business of hire purchase and are called ‘leasing companies’. These Companies mainly act as financiers but as money lending business is not permitted or is difficult, these companies buy machinery and other goods to be given on hire from the manufacturers or dealers and give the same on hire to those who cannot afford to invest moneys in purchase of such machinery or other goods. An hire purchase agreement is also by itself considered as a property or a title deed to property capable of being pledged. The Parliament passed this Hire purchase Act in June 1972. The Act is said to have come into force from 1st of September 1973. The Act covers only hire purchase agreements and not mere hire agreements and defines a hire purchase agreement to mean an “agreement under which goods are let on hire and under which the hirer has an option to purchase them in accordance with the terms of the agreement and includes an agreement under which (i) possession of goods is delivered by the owner thereof to a person, on condition that such person pays the agreed amount in periodical instalments and (ii) the property in the goods is to pass to such person on the payment of the last of such instalments; and (iii) such person has a right to terminate the agreement at any time before the property so passes”. Under the Hire purchase Act ‘hire purchase price’ means the total sum payable by the hirer to complete the price including the initial payment or deposit paid or credited to the account of the owner. (f) where the hire purchase price is to be paid otherwise than in cash or by cheque;the agreement shall contain a description thereof. If the agreement is in contravention of this provision it is liable to be rescinded at the instance of the hirer by a suit. The Act also lays down the warranties, the conditions, limitations on hire purchase charges and passing of the property, the rights and obligations of the hirer and the owner. Stamp duty:There is no Article governing hire purchase agreement in Schedule I to the Indian Stamp Act. Such an agreement would, therefore, fall under the general Article 5 regarding agreements in general. Registration: A hire purchase agreement or a hire agreement does not require registration under the Registration Act, 1908 as it relates to movable property. Actionable claim is defined in Section 3 of the Transfer of Property Act as a ‘claim to any debt other than a debt secured by mortgage of immovable property or by hypothecation or pledge of movable property or to any beneficial interest in the movable property not in the possession, either actual or constructive of the claimant which the civil courts recognize as affording grounds for relief, whether such debt, or beneficial interest be existent, accruing, conditional or contingent. Accordingly, this mean, it excludes not only a claim to any immovable property for a debt but also a debt secured or any movable property in possession of the claimant. It follows, therefore that it is a claim for a simple debt or liability and which can be realized by a legal action. An actionable claim is called, in English Law, a chose in action or a thing in action as against a chose or money in possession. It denotes incorporeal personal property of all disciplines and an interest in corporeal personal property not in possession of the owner which accordingly can only be claimed or enforced in action. 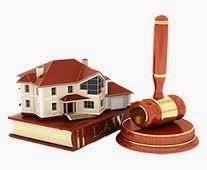 Therefore, while the different types of movable property governed by the Sale of Goods Act can be called as chose in possession, an actionable claim is also a type of movable property called chose in action. It is also a movable property because a debt is a property and anything which is not immovable property is movable property. Actionable claim as defined in Section 3 of the Transfer of Property Act, as a chose in action is different from two other such chooses in action namely the right or property by way of copyright, trade-mark, patent, or design, and also to stocks and shares or debentures of a limited Company or the negotiable instruments under the Negotiable Instruments Act, which also evidence a debt and which are recoverable by legal action. Section 137 of the Transfer of Property Act clearly provides that sections 130 to 136 will not apply to stocks and shares or debentures or to instruments which are negotiable or to mercantile documents of title to goods. Marine Insurance claim is also excluded by Section 135 A of that Act and is dealt with in the Marine Insurance Act, XI of 1933. They are also governed by independent separate statutes passed in respect thereof and are not, therefore, governed by the Transfer of Property Act. That Act in Section 130 only provides for transfer of actionable claims as defined and circumscribed by the Transfer of Property Act. As to transfer of the earlier mentioned actionable claims separate provisions are made for transfer thereof by the statutes governing them. Actionable claims within the meaning of Section 3 of the Transfer of Property Act, therefore, cover (i) claims to unsecured debts and (ii) claims to beneficial interest in moveable property not in possession actual or constructive whether present or future., conditional or contingent. Such actionable claims could be (a) a right to claim maintenance (b) a right to arrears of rent (c) a right to annuities (d) moneys payable under a contract for price or advance (e) a right to claim benefit of a contract (f) a partner’s claim for accounts and his share therein (g) insurance claim, other than marine insurance (h) salary in arrears (i) book debts (j) a fixed deposit receipt, etc. However, a mere right to sue is not assignable. Similarly, a decree is not assignable under this section, as no legal action is required to be taken to recover the claim. The decree itself can be executed. Similarly any other property which is not transferable, under Section 6 of the Transfer of Property Act is not assignable under Section 130 of the Transfer of Property Act. Marine Insurance Policy, negotiable instrument and documents of title to goods are specifically excluded by Section 135 A and Section 137 of the Transfer of Property Act as stated above. (4) where the assignment would increase the burden on the other party. An actionable claim can be recovered by a legal action by the person who is the claimant or creditor. Section 130 of the Transfer of Property Act provides that a transfer of an actionable claim shall be effected by execution of an instrument in writing, signed by the transferor or his duly authorized agent in favour of the transferee and in that case all the rights and remedies of the transferor, whether by way of damages or otherwise shall vest in the transferee, whether notice of such transfer is given to the debtor or not. But when no such notice of transfer is given to the debtor and the debtor in ignorance of such transfer repays the debt or claim to the original creditor or claimant, he would be discharged from the liability. On such transfer the Transferee would get all the rights of the creditor including the right independently to recover the debt without the original claimant’s consent or co-operation.The deed of transfer need not be signed by the transferee and also does not require attestation or registration. The written instrument assigning a debt can be in any form, if the intention to transfer is clear. A mere letter to the assignee by the claimant that he has assigned the debt to him is sufficient. An assignment of a debt may be absolute or by way of security or even as a gift. The words with or without consideration in the definition of actionable claims are used to cover even a gift. An assignment becomes effective from the date of writing, unlike English Law under which it becomes effective from the date of notice to the debtor. The provision in the Transfer of Property Act regarding assignment of actionable claim does not apply to claims under Marine Insurance Policy or Fire Insurance Policy or affect any provisions of the Insurance Aft, 1938. Section 134 of the Transfer of Property Act also shows that assignment of the actionable claim by way of charge is also possible to secure the debt due by the transferor to the transferee and provides how the debt assigned when recovered is to be applied viz., first in payment of costs of recovery, secondly, in satisfaction of the amount secured and thirdly, in payment of the balance if any to the transferor or other person entitled thereto. 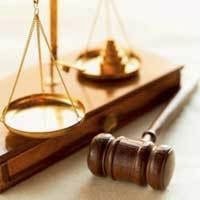 Section 136 if the Transfer of Property Act above quoted does not apply to assignment by a charge or security, though such assignment is also recognized in English Law as equitable assignment. (c) any claim or benefit under a contract belonging to the transferor but without any liability attached thereto. An Assignment can be made either by a formal document or even by a letter to the debtor of the transferor but not orally. An irrevocable Power of Attorney to recover a debt and to adjust it towards the amount due to the done is held as an assignment. An actionable claim can be assigned even as a gift that is without consideration as Section 130 of the Transfer of Property Act in terms so provides. (11) dividend due on shares, etc. But a mere right to sue or claim for damages or profits are not assignable.As regards transfer of shares, stock and debentures, the provision in respect thereof is made in the Companies Act. As regards actionable claims in the nature of negotiable instruments, the Negotiable Instruments Act, makes special provision for the transfer thereof by endorsement. It may however be stated that a promissory note whether negotiable or not or other such instruments can be transferred by a separate instrument of transfer instead of by mere endorsement. An assignment of an actionable claim is not required to be registered under the Registration Act.It is desirable that the document of assignment is executed both by the Assignor and the Assignee and in duplicate, one copy remaining with the Assignor and other with the Assignee.